You haven’t filed any claims, so why is your home insurance going up? It’s a common question that boils down to insurance trends. Insurance rates are based off more than just your personal claims history. They also take into account your company’s claims experience and the types of claims they commonly deal with. Here are five reasons why your home insurance may be going up—and one easy way you can save on your home insurance. Flooding. Winter storms. Freezing rain. Downed trees. Canadian weather has no doubt become more severe over the past few years. This means insurance companies are paying out more than ever for weather-related claims, an expense that is passed on to all insurance policyholders. Insurers have responded not only by redistributing some of these costs among all policyholders, but also by looking into or changing the coverage offered for weather-related claims. Homeowners are advised to carefully review their policies to learn what is and isn’t covered in regards to weather. Homes are getting bigger. According to the Canadian Mortgage and Housing Corporation, homes have almost tripled in size from an average of 800 square feet in 1950, to 2,300 square feet in 2005. These days, homes average around 1,900 square feet. 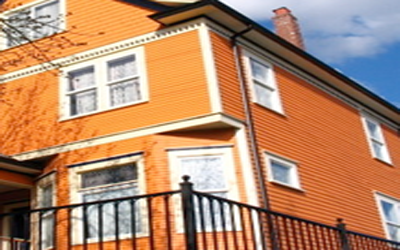 Your home insurance is not based on your house’s market value. It is based on the cost of rebuilding and replacing your house. Basically, the bigger the home, the higher the replacement value which in turn translates to higher insurance premiums as well. In addition, many people are now installing more high-end fittings. The current trend in granite countertops, for example, costs much more to replace than the old types of countertops. The same goes for contents. Bigger homes often require more furnishings. Add to this the popularity of big ticket items such as media equipment, wine cellars, and finished basements, then your contents are going to cost more to replace, so your insurance is going to cost more as well. It is not uncommon for people to have more than one television and more than one computer, laptop or tablet, and top of the line appliances and household furnishings that all add up. Finished basements are actually a relatively new phenomenon. It used to be that basements were a place for laundry or pantry storage, but now basements operate as extensions of our living spaces. People are putting more money than ever into their basements. HGTV quotes the average basement remodel at $61,303. This adds value to a home. It also makes basements and the contents more expensive to replace/repair in the event of a claim. Basements are actually a large contributor to home insurance claims, as water damage can ruin media and entertainment rooms, expensive flooring, and even living spaces. Homeowners are advised to take action against basement flooding by installing sump pumps and taking other precautions to minimize risk, such as not storing expensive technology close to the floor. If you plan to finish your basement, make sure you address all problems with moisture first. Aging infrastructure is an increasing problem contributing to sewage back-ups and basement flooding. Robert Tremblay, research director at the Insurance Bureau of Canada, told the Globe & Mail that claims for sewage back-ups have doubled in the past 11 years, something insurance companies are now factoring into their risk assessments. The Canadian government has committed to putting $53 billion into infrastructure over the next 10 years, but in the meantime sewage back-up is still a risk for homeowners across the country. Homeowners should note that sewage back-up protection isn’t automatically included in a home or tenants insurance policy. It is actually an add-on offered by many insurance companies for an extra cost.